Heading Home To The Farm! Retiring Early. Well, Actually...RELIVING! Retirement should be called reliving – not retiring. As in a chance to relive life – to the fullest! If there is one word Mary and I have never been fond of, it is the word retirement. Retire means ceasing to work. To stop. To quit. It conjures up thoughts of rocking chairs, and sedentary thoughts and actions. Heading back to the farm and to our new “Reliving” careers. It is certainly not something that we would ever want to look forward to. But RELIVING – now that is a word we can wrap our lives around! And that is exactly what we are going to do from here on out. Yes, we have decided it is time to do what we love full-time. And now, why we are fully able and can do it, enjoy it, and live it. Like spending more time gardening. Spending more time creating new projects around the farm, or cooking up new recipes in the kitchen. And spending more time seeing the country and the back roads every chance we get. But perhaps most of all, finally having time to devote our life to the three things we love most – travelling, writing and speaking together about all of those wonderful things listed above! 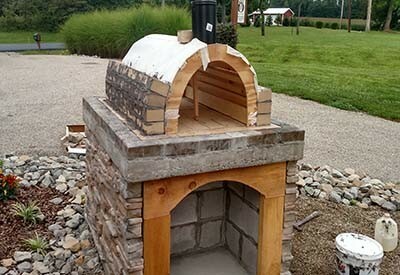 Its time to create and share more DIY Projects – like the pizza oven! So before we go any further, for those that follow along with our story – it is about to take a gigantic new direction. Yes – it is official, at the end of this year, we are coming back to the farm full-time. I am following in Mary’s footsteps and reliving early, (or retiring early if you must), and we are coming back to call the farm our permanent residence for good. Leaving a traditional work life should be a chance to celebrate life. An opportunity to live and do all of the things you could never do when you were working. It is time to head back to the farm for good and enjoy it to the fullest! Nothing in life is guaranteed. Nothing is promised. You have to make the most of every hour, every day, and every experience and memory you can. And that is exactly what we are going to do. A few years back, we created a plan. We knew if we could downsize our home, our life and our lifestyle, that perhaps we could save faster for the day that we could leave it all to relive a little early. We worked many a morning and weekend to create the farm, the websites, and a few books, and a path to new life to working on things we enjoyed. 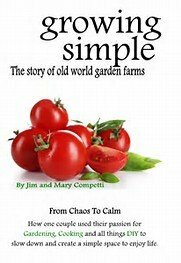 It was the entire basis of our first book, Growing Simple. All the while in the beginning, we maintained our professional careers as well. The detour for us to Nashville for my work during the last year was an amazing time and an eye-opening adventure. We fell in love with the people there. We immersed ourselves in experiences every chance we could. Our first book that chronicled the entire process of simplifying. It really is a freeing experience! I was absolutely blessed to work alongside some of the most amazing people during my time there. It made this decision to follow our dreams full-time all the harder. But in the end, we knew it was time to live and experience the things we love to do full-time. A Chance To Relive Now! Just because we might be leaving the traditional day-to-day work life – we are certainly not going to stop. Or cease. Or do any of those other “retirement” type words. Especially when it comes to the things we love the most. Two years ago, with the blog continuing to grow, our second book underway, and a growing slate of speaking engagements, we decided that something had to give. On one hand, it was what we loved to do most. On the other hand, it was becoming more and more difficult to juggle it all with two full-time careers. 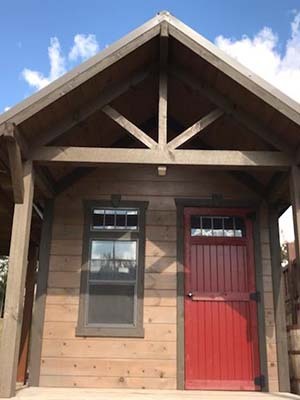 We can’t wait to finish the cabin project at the farm! And anyone that knows us, knows we operate by one simple rule – we need to enjoy and love what we are doing, or it is not worth doing. So we made a decision that Mary would go first. And she has never looked back. She took over more of the writing for our Old World Garden Farms website, and even started her own Make Your Meals recipe site. As crazy as it sounds, the more she did what she loved, the more it worked out. And the bonus for her early retirement was she now had the opportunity to travel whenever she wanted with me as well. So why did we choose the word reliving. Because to us, that is what retiring should be all about. A chance to live and do all of the things that having a traditional 9 to 5 job kept you from ever doing. For me, I learned a hard, valuable lesson from my dad. It has stayed with me forever. My father passed away at a way too young age of 56. I was 13 at the time. Although he and my mother had an incredibly wonderful life – I am sure that there were so many amazing things they had planned on doing together – and never got the chance. For us, we want no regrets. So what are we really going to do in our relivingment? Well, live of course! We will continue to write and create all sorts of projects at the farm. Mary will continue to grow and write for her recipe site as well. 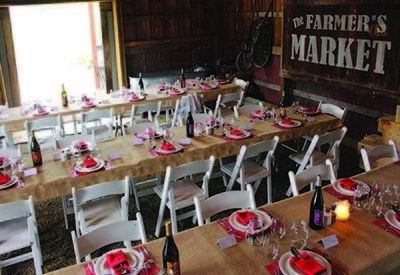 More Farm To Table Dinners are in the future for the farm – for sure! As far as the farm goes, there is a plan for it as well. We will begin to host monthly summer farm to table dinners, and a few events here and there as well. It is always been our goal to host a wedding or two there – and hopefully now we can do that a time or two each year. But there is one incredibly massive goal that needs to be crossed off our bucket list before we officially come back to the farm for good. And we feel like it is the perfect way to celebrate and kick off our Reliving career. We have a really incredible announcement last week to kick off reliving in our new “careers”! It is incredible, it will be amazing – and we cannot simply wait to share it with you. And to be honest, today’s story is enough to take in for today. So that story will wait until next week. I know, I know…a cliffhanger indeed. Thank you Toby – and sorry you lost us for awhile! Good luck on your dreams and passions!!! I lost you for awhile and wasn’t receiving emails. I missed it and am glad we reconnected with you. I enjoy your blogs, posts, and recipes and am so glad you are getting back. Happy Reliving!! My wife and I have a backyard nursery and hope to be able to do the same one day! God Bless you and enjoy!!! It is truly wonderful to drive by and see life in your home. Lights on, cars in the driveway, simply knowing you are living your dream. Here’s to your next adventure! Enjoy each and every minute. I look forward to “traveling” with you!! Jim and Mary congrats on reliving always look forwards to your posts wish you both the best! Andrea – that is so awesome to hear what you are doing! Thank you for the encouraging words – and happy retirement and reliving to you too! Sonya – we remember you and that day so well! We can’t wait to host many more evenings at the farm in the future. Thank you Daisy – and thank you for always having such kind words of encouragement for us. It is so good to hear from so many others who have done this as well and are happy! Love that you built your own trailer! Thank you so much Sheila! We really do try to keep it as real as possible and really appreciate what we learn in return from all of our followers too! I’m so happy that you both are coming back to “The Farm”! God is Good! You have taught us so much over the years and we love reading and hearing about all the things you two do. Thank you so much for keeping it real…sharing is caring and we love everything about you two! 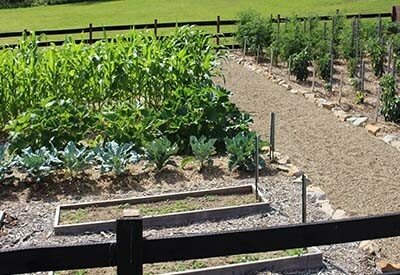 Happy Gardening and Homesteading! Good for you guys! We did the same thing 4 years ago..it’s been wonderful! Our decision was based on some health issues and we wanted to spend as much time with our kids and grandkids and our passions, we built a teardrop and started traveling to U.S on all the scenic byways. Life is grand! Enjoy! So happy for you and Mary! I love the term reliving as well. We were at your farm to table event last year and hope we get to come back. We loved visiting the farm and staying at 150 year old bed and breakfast in town. Can’t wait to hear the news next week. Enjoy life my friend!!! Tears of happiness that you decided to return to your beautiful farm and FULLY live the lives you’ve worked so hard to create there! Your postings and, most recently, Mary’s wonderful recipes, have inspired me to fully embrace my own retirement and make the most of my small acreage in the southeastern Washington shrub-steppe. Congratulatory hugs to you both!! Thank you so much Kristi! We can’t wait for what lies ahead. You two are truly an inspiration and a blessing! Only good things ahead ! Thank you Mary for the well-wishes and for the compliment on the site. That means so much to us! Thank you for stating what I have always believed! Retirement is reliving for sure! I “retired” some 10 years ago from a career that spanned 40 years. All I did was change the time clock from someone else to my and my family’s time clock and the time is now spent on what I enjoy and benefits my family (other than the income from the other job) and I am loving it! I’m very happy for you and your choices. Hope to be included in your adventures via email updates! So appreciate the kind words Charlotte – we are excited to see, live and do as much as possible while we can! Congratulations my the future be happy and bright. I really enjoy this site. Barbara – Thank you so much – we really love sharing the projects with everyone and can’t wait to dive in to so many new projects and new adventures. Stay tuned Lisa because we will definitely be coming close to you sometime in the next year or so! More on that with next week’s article. Merry Christmas to you and your family as well. Thank you Peggy – And we sure hope not! Drop us an email – and we can set up a time! Wonderful! Would to come visit the farm this spring. Congratulations! I’m sure there won’t be time for any grass to grow under your feet in your new life. Enjoy! I totally agree with “reliving”, because barring a catastrophe I doubt I’d EVER be bored after concluding the paycheck career! And farm/ranch life is exactly where we are heading, hopefully sooner that later. Merry Christmas and safe travels! 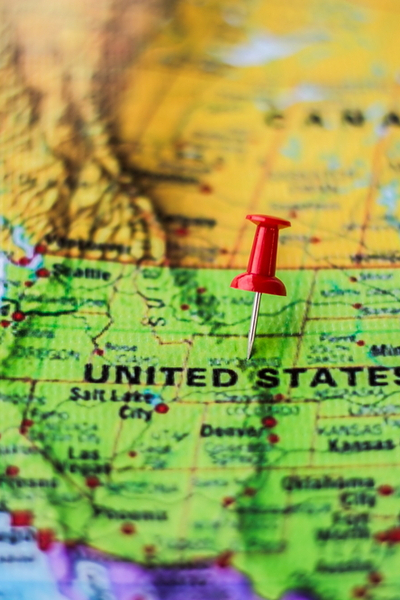 If you do a speaking engagement near the greater St. Louis area, we’ll be there!! I am so pleased to hear you are coming back. You two are my favorite speakers and the web sites are fantastic. 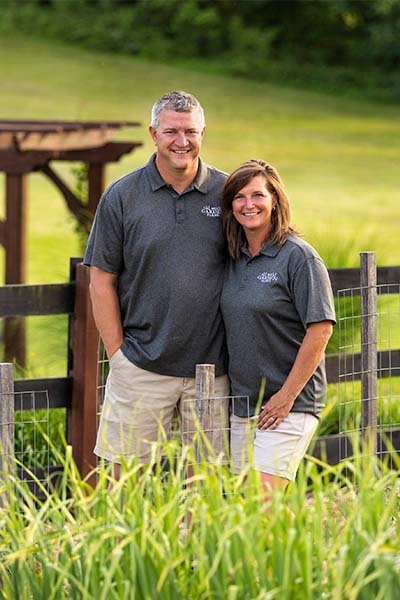 Jim & Mary, Thank you soo much for having a passion for something that we all can share!! Congratulations to your new reliving and coming back to the farm!! Congratulations! I really enjoy following your journey and you’ve inspired me in mine. I’ve returned to my roots in the Sierras with enough property to create my own self sufficient farm. I’m a single dad to my now grown sons so my road’s been anything but traditional. As I’m looking towards my retirement this column has been a real boost of energy to complete the project. You are absolutely right. It’s reliving. Thanks for all the diy information and opening your lives for inspiration and learning. Congratulations on your new direction in your new LIFE. May it be happy. I have been reliveing for 25 years and still have not found my rocking chair. Hope you enjoy this time of your life as much as I am. Love your Blog and I only have 1/3 of an acre. To follow your own dream is a gift that is rare. This is Joyful news. So happy to see your new direction! 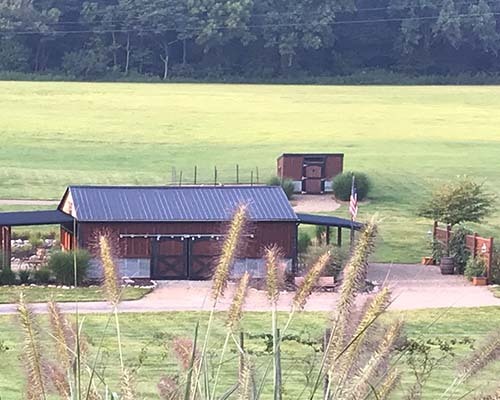 You belong on the farm because you do such incredible projects that inspire so many! Welcome home to relive your fabulous life! Great move! Good luck! God Bless! CONGRATULATIONS!!! Proud for you! Enjoy this new road while you have a chance. Looking forward to trailer travel information! Congratulations on your reliving choice.